Also known as Baby Back ribs. This is a pack of 2 racks of baby back ribs with a pack weight of 1.1kg. A delicious, tender sweet flavour that comes from naturally reared pork. 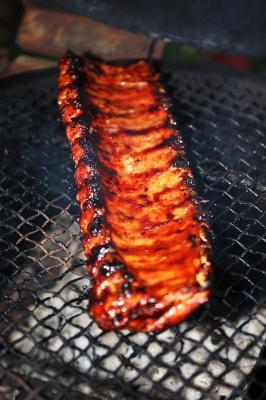 Barbecue, grill or oven cook until it falls off the bone. Choose your marinade from the drop down menu.